Ron Zahtner was new to the Kiowa and the Service Company, an experienced diesel mechanic, having worked at R & H Implement, the John Deere dealership in Syracuse Ks. Gary found him to be a quiet person, sociable when spoken to but never one to instigate a conversation. Once you got to know him, he was a very likable person, but at times did come across as one with an attitude Ron’s abbreviated stature at 5 ft. 4 inches might have contributed to his demeanor. Gary could identify with Ron, especially the difficult time he encountered ameliorating acceptance from his newly acquainted work constituents, it was similar to his experience until discovering a workplace adversary, Larry Swonger. Larry having observed the hesitant acknowledgement of the out-of-town stranger, welcoming Gary like a longtime friend. Gary deciding to enact as adversary scheduling his breaks to coalesce with Ron and the other mechanics and before long a semi-congenial acceptance began to evolve. It was Saturday morning Craig’s weekend off, Gary aft of the Service Company parts counter when the telephone rang, it was his wife. Jan had taken leave earlier that morning to drive to Waynoka Oklahoma, her Chevette full of hand crafted ceramics to participate in an arts and craft festival. Gary somewhat puzzled about why she was calling considering the time, she responded that she had car trouble but what was able to make it to Waynoka and set up for the craft show. She related that about two miles from town the Chevette made a loud noise in the engine as if something had broke but it remained running so she continued, the engine temperature gauge registering H by the time she got into town. Gary first thought was a fan belt had probably come off, explaining the noise and the temperature gauge reading, assuring her he would be on his way after closing the store at noon. Arriving in Waynoka ascending the hood of the Chevette, he was confronted with a surprise, not only was the fan belt missing , but the pulley on harmonic balancer had departed too, explaining the loud noise Jan had heard. Returning home with Jan, the Chevette abiding in Waynoka, Gary realizing there was but two resolutions, towing the car with a rope or calling Keith at D&W Auto, having their tow truck accomplish the delivery. Mulling over the two considerations, the first being the least expensive, deciding to find someone willing to accompany him and drive his car back towing the Chevette. 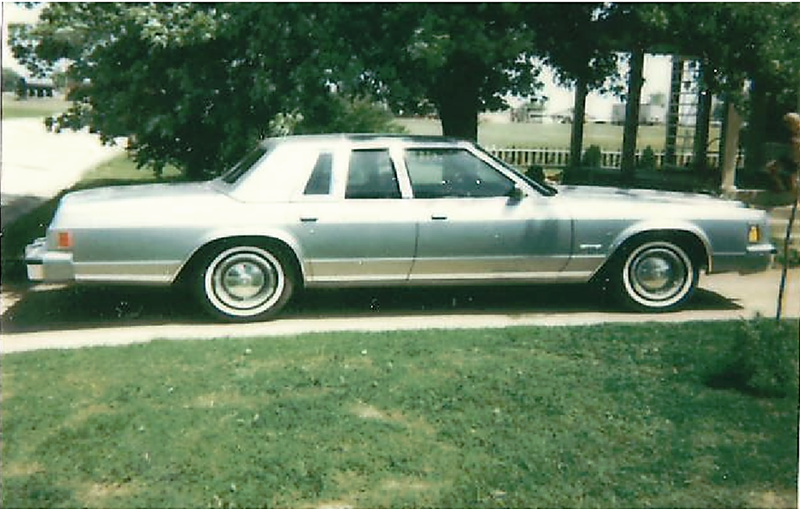 He immediately eliminated calling his father-in-law, as Bud had been through this once before with towing ‘Ole Blue. His second choice was Larry Swonger, but then someone else came to mind, someone who not only could tow, but someone who could remedy the harmonic balancer pulley problem, Ron Zahtner. Gary calling, finding Ron at home, briefly explaining the situation, Ron agreeing to help, but came up with a far better alternate solution. The Service Company possessing both a pickup and trailer, advocating Gary call and ask the about borrowing both to retrieve the car. Gary placing a call to the Steve Miller residence getting no response, placing a second call to John Miller, John answering telling Gary that he didn’t see a problem with him borrowing the pickup and trailer. The company pickup with the attached trailer set-out for Waynoka, Jan having related to the best of her knowledge the mile section where the experience took place. Ron and Gary halted at the side of the road embarking from the tandem walking what they believed to be the designated mile section searching both sides of the highway for the departed pulley, but to no avail. The two secured the Chevette in the trailer, Ron agreeing to make some phone calls to see if he could find a used pulley but it being late Saturday afternoon and tomorrow being Sunday it would probably be Monday before he could find one. Arriving in Kiowa Gary deciding to roll the Chevette off the trailer and leave it parked at the Service Company yard. Ron lifting the hood taking a second look noticing that the car had air conditioning and that he wasn’t sure whether it required a double pulley or single with an add-on accessory pulley, Gary leaving everything up to Ron. Later Ron had discovered it took an add-on accessory pulley for the air conditioner compressor, but telling Gary all he could find was a used single pulley being told that it would be almost impossible to find an accessory pulley new or used because very few of the 1.4 liter Chevette were AC equipped and in probability it would have to be ordered from Detroit. Gary concluding that the Chevette having propagated its appropriated duties, it was time to hand of it’s baton of servitude to someone else, telling Ron to go ahead and put the single alternator fan pulley on, at least the car would run and he would trade it without a belt for the air conditioner compressor. 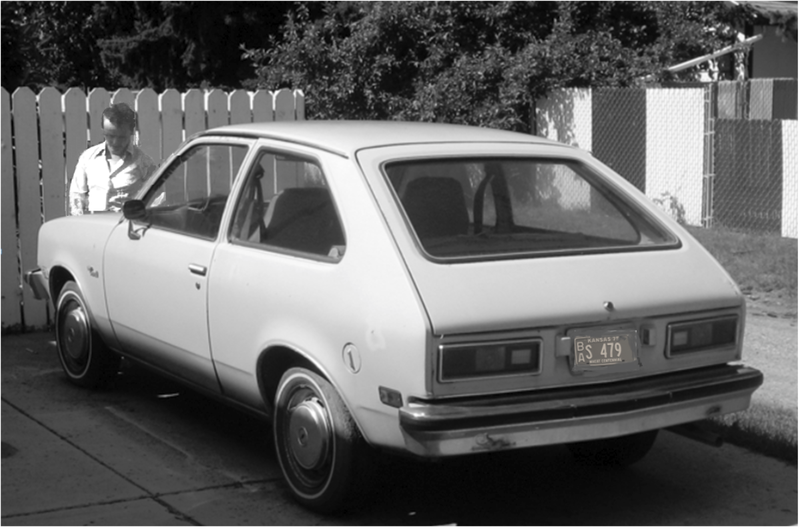 The Willson’s having traveled in the Chevette allocated to spend Friday night in Wichita, the fall morning enticing a journey on Kellogg Avenue renown automobile row, the couple seeking to trade the Chevette. Their search just getting started when Jan acknowledging a pristine looking pre-owned blue Chrysler New Yorker positioned on an elevated ramp extending above the other displayed automotive enticements. Gary taking notice of the large luxury Chrysler but continued on Kellogg desiring to investigate the inventory of the other dealerships but Jans exclamatory of the blue New Yorker persevered. Attempting to interject some logic but to no avail, Gary finally realizing that any endeavor to examine another vehicle before the Chrysler would be futile, the Chevette reversing course, back to the displayed exposition. Halting at the dealership Gary was more attentive to the echelons of smaller less luxurious vehicles on the lot, practicality of usage envisioned, but an inspection of an assortment finding a disinterested Jan, always returning to the blue Chrysler New Yorker. The sales person no doubt having sensed Jan’s interest having the New Yorker removed from its lofty perch to the street level. Without hesitation the lady of the household seated herself in its enhancing leather interior, Gary realized that this closer inspection was contiguous awaiting the next prescribed event from the sales person, the demonstration drive. Gary asking his wife if she wanted to be the one to test drive the car, but she decline, telling him to go ahead. Gary pulled the long luscious New Yorker onto Kellogg knowing any dissuading comments would be ineffectual, Jan had already made a decision. The price accord session that was about to begin was a lost cause, the sales person knowing he had a sale, Gary’s only bargaining chip was the trade-in amount for the Chevette. A company shop representative returning with the Chevette after a brief trip around the block the block giving the salesman an okay except for mentioning the air conditioner wasn’t cooling. Gary was hesitant with a moment of concern not sure of what to say, deciding not to confer the complete extent of the missing pulley problem, but still to be honest, stating the air conditioner worked find but was missing a belt, the statement technically correct. The New Yorker prevailed, Jan, who turned down the offer to make the in-town test drive was more than willing to make the rural highway drive back to Kiowa. This entry was posted on July 28, 2016 at 12:46 am and is filed under Uncategorized. You can follow any responses to this entry through the RSS 2.0 feed. You can leave a response, or trackback from your own site.